Within the martial arts world there are many styles and methods of training the body. But what does training the body actually mean? What is at the essence of these various techniques? I’m sure many people have experienced frustration when a certain technique does not yield the results they expected. Perhaps this means that it is not about method or technique. For a method or technique to work, the body must first be rigorously trained and developed according to the fundamental principles that govern human movement. As the body develops and absorbs these physical principles, it can begin to act in accordance with martial principles. 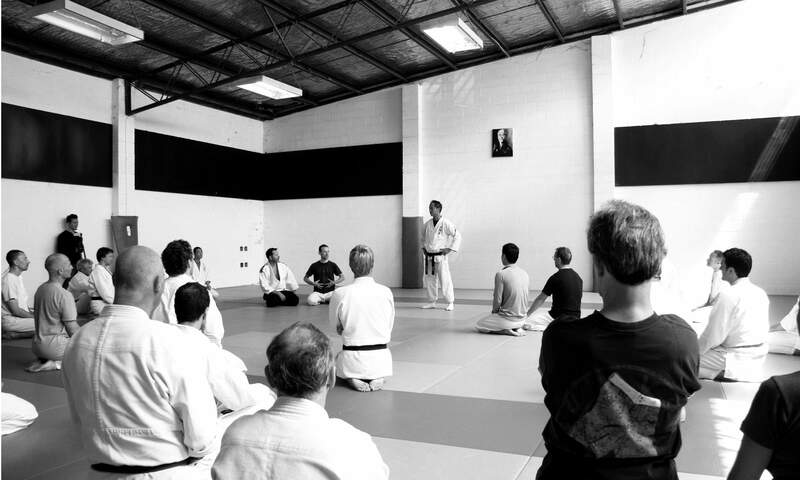 There are many different interpretations of the word “training.” Depending upon how a person approaches this concept, he or she can lose track of the real nature of Bujutsu. People by their very nature are creatures of habit. As such interpretation is often clouded by preconceptions derived from habits acquired in everyday life, much more than many realize. In Bujutsu it is important to observe your own body from an objective point of view if you hope to improve. Here at Aunkai, we first recognize our preconceptions and notions, then attempt to tune the body through certain training methods in order to discover movement of the human body that is in accord with certain principles.